If you are planning to boost your site and company’s online visibility, you must have stumbled on the term “local citations.” This article is all about that, and it will explain to you what local citations are, why they are so important, and how can you benefit from them through a quality SEO campaign. The time of thick phonebooks, we all used to have is long gone, it’s all about online directories, so let’s dive into the world of local SEO and implement it in your SEO strategy! This is a term that describes an online mention of the name of your company, and it also includes address, phone, and email. So any time a piece of information about your company shows up in the local search results, but also social media, apps and business directories it’s a local citation. While this doesn’t seem that critical, local citations can tremendously help your business, making sure it is easier found on the web, establishing its presence. That’s why it’s essential to have accurate citations all over the internet, and that is something you can do through SEO. A complete local citation consists of the company name, address, and phone, and is called NAP. NAP is the most important form of local citations, especially crucial for structured citations, on the most relevant websites and business directories. It is vital to have NAP displayed with accurate information. Also you can add hours of operation and categories. It’s very important to select a proper category for your business website. But often times your company will be mentioned only by its name, or name+address, or name+phone. These are called partial citations. The difference exists, but both are good, as they help you establish a presence online. Local citations often don’t include the link to your site. But, they are more important than you might think. Local citations help search engines display the most accurate information about your company, which helps customers get to you. 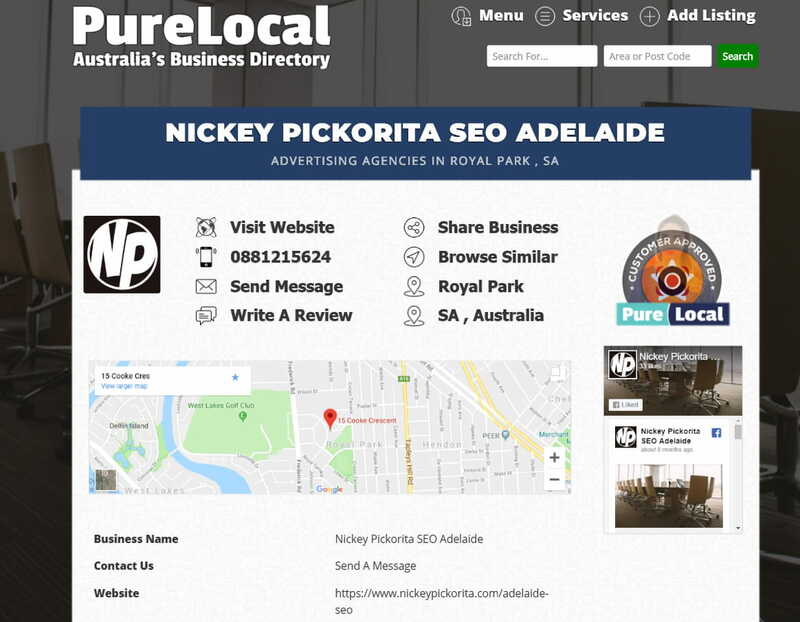 That is why it is important to have the right information in the right place – adding an Australian company to a US business directory won’t benefit anyone, and it can mislead search engines. What makes this piece of business information unique is that it comes directly from you. And you are the person that knows best all the details about your company. And for that reason, if you create Google My Business profile, it is basically like letting Google know about your business, and it now has to pay attention to it when local ranking. But, this is not enough. Google will also look for your company in other well-known places such as Brown Book or Yellowpages, to check the information. If all of your information matches several different places, it will convince Google that your company is legit, and this will help your ranking position rank in local search. It will also help your map ranking rank in the map pack. Long story short – local citations are a great way to outrank your competitors. Even if they have older and more established businesses than yours, if you have more local citations, you are more likely to show higher in the search results. Additionally, your potential customers come across local citations when looking for your business, and they use the information when contacting you. Local citations are often the last step that sends potential customers your way. Just imagine if the phone or address displayed in a business directory is wrong – your potential customers will find another company with proper citations, and you will lose business to your competitors. Also, people who are not that into SEO often overlook local citations, focusing on other tasks such as making a great looking website and starting a blog. While those are very important, that’s a fact, they require much more effort than ranking for local citations, over a long period of time. For that reason, they present great value, as they are straightforward to rank for, as long as you know how to do it. Don’t get us wrong, local citations are a hassle, even if you know what you are doing, they take time to set up and manage appropriately. But, unlike a blog which you need to run basically forever, local citations are just an initial hassle, and later on, you just need to update them from time to time, they don’t require daily obligations. They are an often overlooked ranking factor, and it is a good idea to have professionals set them up properly on your behalf. Structured citations have your business data listed in a business listing directory. 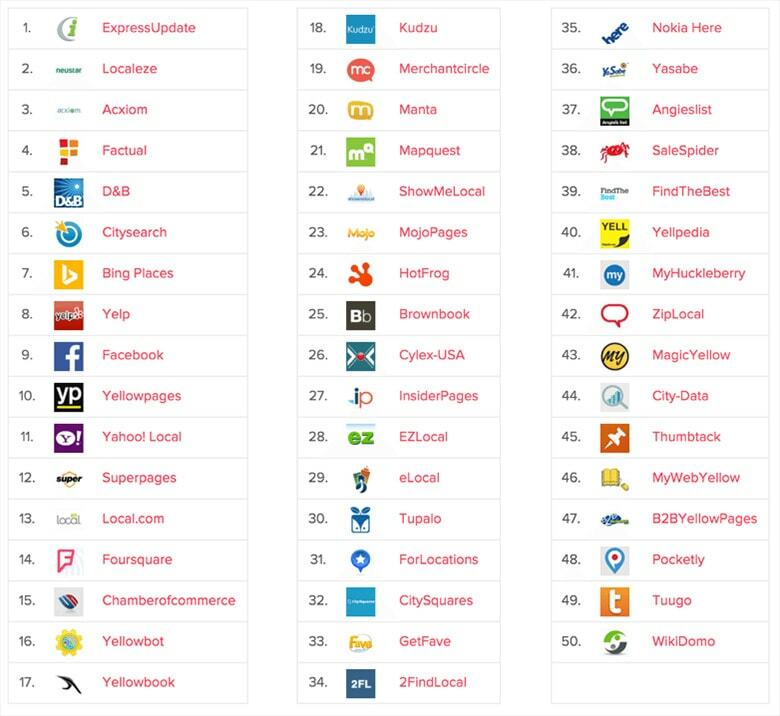 These include Yelp, Yellowpages, but even Facebook, TripAdvisor and similar. These have the complete info of your business, and often additional useful info like Google Maps location, about the company and similar. Unstructured citations show all over the web, on places that are not specifically dedicated to local businesses. These include blog posts, social media posts, but also magazines and newspapers. Not that local citations often don’t include links to the website, but they are still a huge ranking factor. All the other types of citations fall under either structured or unstructured local citations. You want to register your business at a local business registry. Doing that will help you gain customer trust, as people often look company’s background before choosing and committing. What’s great about these is that they are free, and for that reason, you should apply to all registrars in your city or state. You can also look for local business directory sites that are specific to your location. Depending on the area your business operates in, you should consider reaching out to popular blogs in the same industry, asking owners to talk about your site, or interview you. Or, if for example, you have a restaurant, go ahead and create a page for it on TripAdvisor, or other sites that locals and tourists use when browsing for places to eat. The same goes for hotels, which you can list on Booking. All of this will improve the visibility of your business. Companies are mentioned on the Internet all the time, whether in news, government publications, social media or similar places across the web. Those mentions can also be considered as citations. While most of the time you can’t directly impact when your company information gets mentioned, you can make sure it is accurate at least on the places where it matters the most, and we will explain that in the next section. After all, people usually use information from credible directories when citing in news/social media. How To Build Local Citations The Right Way? The first thing you need to do is to make sure your company is present on all the biggest websites that are linked to your business. You want to have accurate information displayed, including your company name, phone, and address. It’s important to have precise information as search engine rankings nowadays are very smart. Second, you need to make sure that there is only ONE listing of your business per site, as you don’t want to create confusion. Look for all variations of your business, and remove any duplicates. If you are wondering where to start – Google and Bing obviously. But also InfoGroup, Factual, Localeze. Next, you need to go to your Facebook Business page, Yelp, TripAdvisor, Yellowpages, and all the niche and local directories (your city site, or the site of your industry). It’s a big plus if you also go through all the local business listings, and check and clean the information. One last tip – use your business email, not personal. It will stop the spam, and protect you. 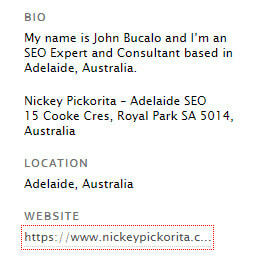 Also make sure you are putting proper links to your website if you are using multiple locations. Consistent NAP (Business name, Address, Phone). Must be the same on all listing, that’s what we call NAP Consistency. Hours of operation – So potential clients know when to contact you. Unique business description – Describing your business does to optimize your listing. Also, you can add your business logo, images of your staff/team, your business location to make your business look better and to gain more trust. Links to your social accounts – Social profiles like (Facebook, Twitter, Linkedin Company Profile etc. Verify and claim your listing – This is very important as verified listings have more authority. Also, your company will look better in the eyes of potential clients/customers. How To Find Local Citation Sources And Listings? The best idea is to select your biggest and most established local competitor. Google them, find their address. Then start googling that address, and see where it shows, and note those directories. You can do the same for their business email in combination with address, company name, etc. If you do that for the number two and number three competitors, you will get the idea where they rank, and what you need to do next – list on the same places. Also, you can use SEO tools like Ahrefs to check their backlinks and see what referring domains they have. Just make sure you are googling your local competitors, not worldwide – every country and town has their own directories and systems. There are also websites such as WhiteSpark and BrightLocal that can aid you in finding and also creating citations, as well as checking NAP. We recommend you visit those pages, they will help you a lot. It is very important that your local citations have consistency. As we said earlier, building local citations for local SEO is not complicated, but it is tiring, especially initially. You are a business owner who has just launched a business, and you have so many things over your head, and who has time to waste on so many local listings. Well, if you don’t do it, your competitors will for their businesses, and it will have a negative impact on your company, which you want to avoid if possible. If you don’t have time, or you don’t want to bother with this yourself, contact us. 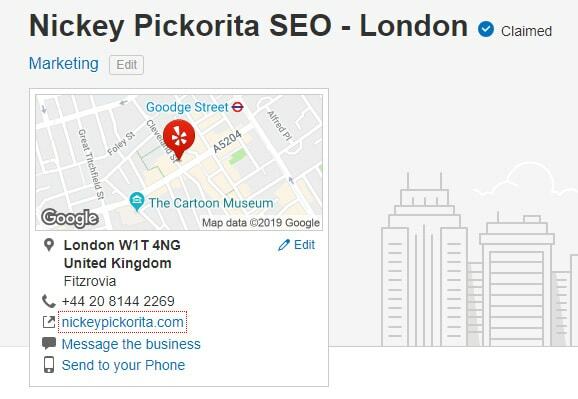 Nickey Pickorita SEO is in the Search Engine Optimization game for long, and we know exactly where your business needs to show if you want to rank number one on Google. We will take care of your full SEO campaign, making sure your site gets where it belongs ASAP, and stays there forever. For more SEO tips check our SEO blog.